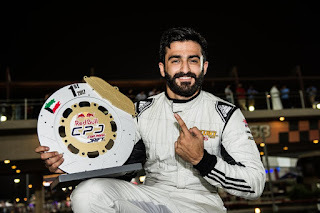 Home > Drifting > News > Video > Ali Makhseed : My father remains,to this day,my mechanic,coach and team manager! Ali Makhseed : My father remains,to this day,my mechanic,coach and team manager! Red Bull Car Park Drift Series- Finals is happening this weekend in Kuwait for the first time. Pulling 13 qualifiers pro drift drivers from across the Middle East,North Africa and Mauritius. Kuwait has three drivers in the finals enjoying the benefit as a host country with 1 from Mauritius! Ahead of the biggest drift event to go down in the Gulf,Ali Amkhseed has changed wrap on his legendary Toyota GT86 and we all cant wait to have it unveiled at the event this Saturday! One thing we sure he has a MOTUL sponsorship on board his beast!Ali Makhseed only at 22, has been drifting for 6 years.